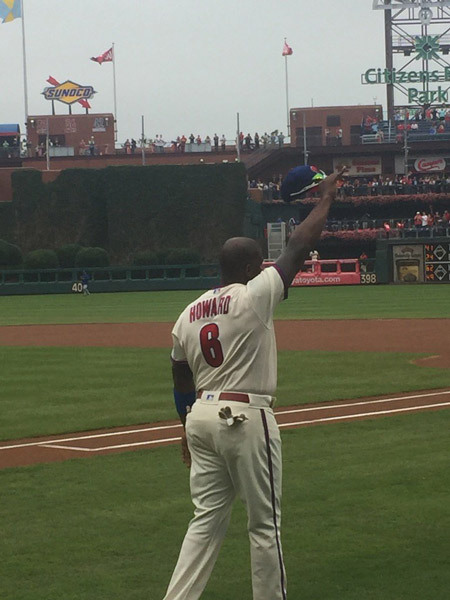 Philadelphia Phillies star Ryan Howard was honored Sunday at Citizens Bank Park prior to what is believed to be his final game for the team. 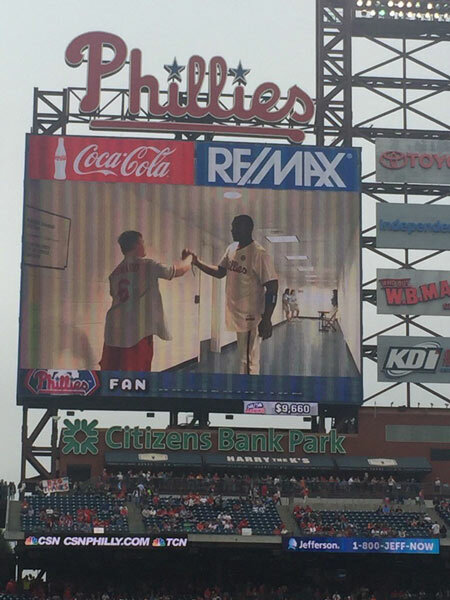 PHILADELPHIA (WPVI) -- A roaring crowd greeted Ryan Howard as he walked on the field at Citizens Bank Park Sunday afternoon. 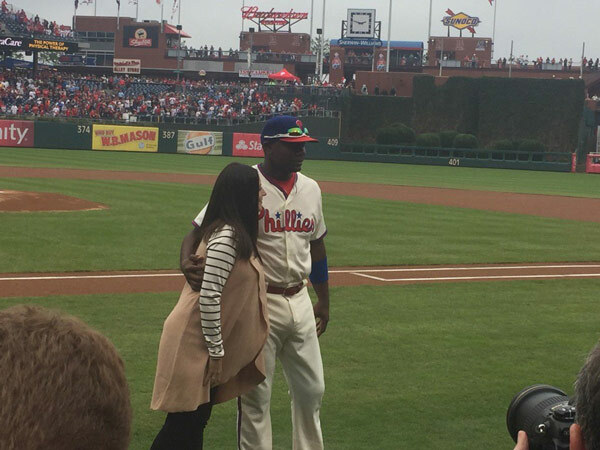 He raised his cap to thank the fans on the final day he suited up as a Philadelphia Phillie. A special pre-game ceremony honored the team veteran, the only remaining member of the 2008 World Series Championship team. His wife, Krystal, joined him on the field. Hall of Famer Mike Schmidt presented him with a commemorative plaque. 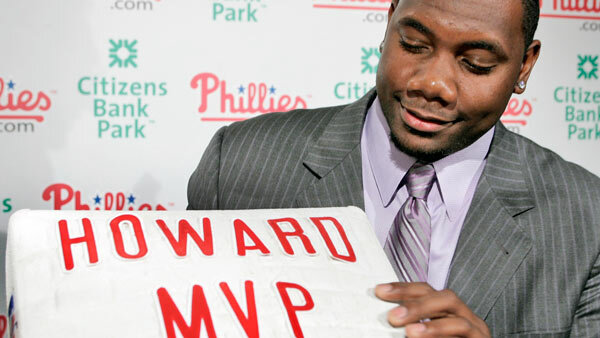 For Howard, it was hard to keep back the tears. "My family has grown with all of you," said Howard. For fans, it was emotional as well. On the field, Howard has been a force. His accolades include National League Rookie of the Year in 2005 and the National League's Most Valuable Player in 2006. "Listen that guy's been a clutch hitter. 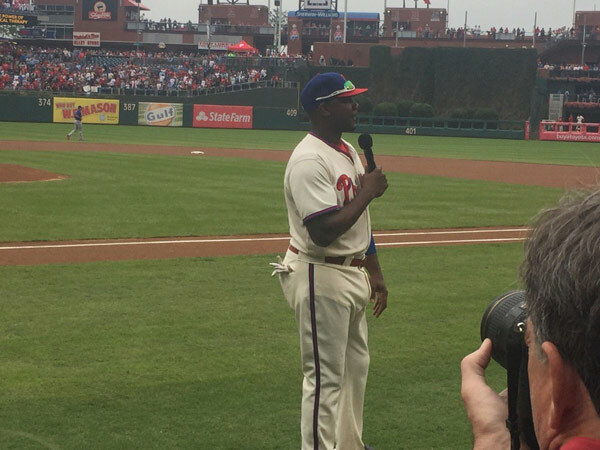 He's like the Mickey Mantle of Philly," said Frank Garcia of Bayonne, New Jersey. 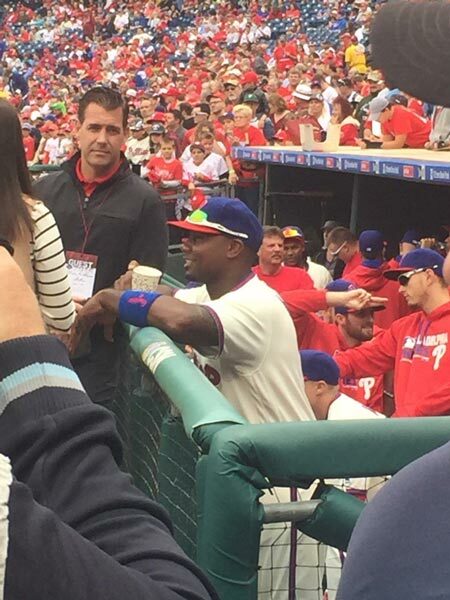 "It's kind of emotional because he was always one of my favorite Phillies. It's going to be weird seeing him in a different uniform if he's playing with someone next year," said Scott Stetzler of Lenhartsville, Pennsylvania. 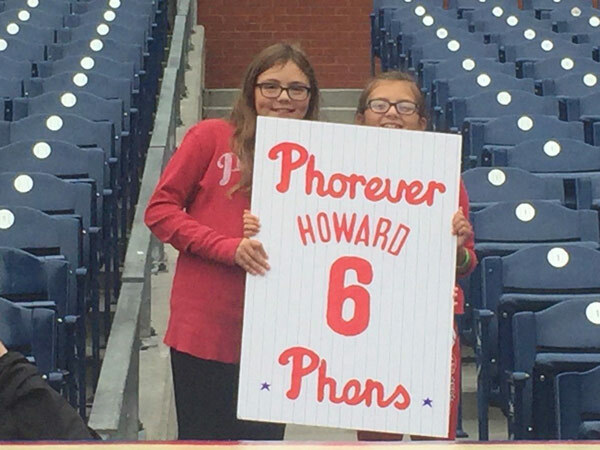 Off the field, Howard has given back to the community in many forms - often to children, gifting a library in South Philadelphia to children who accepted a challenge to read more, and recently his foundation opened a youth baseball academy. 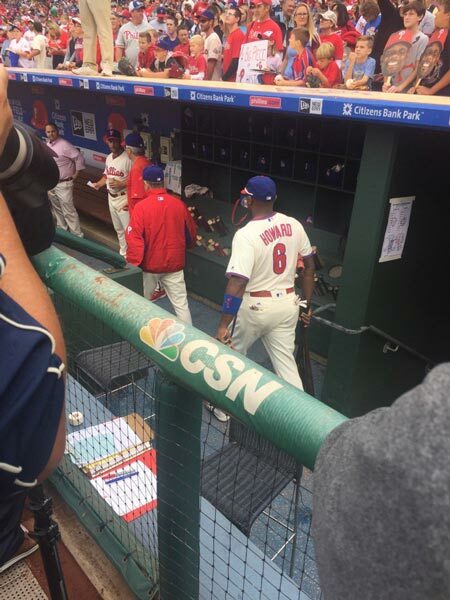 Ryan Howard's career as a Philadelphia Phillies. "He's just meant so much to the City of Philadelphia," said Corinne Slusser of Danville, Pennsylvania. 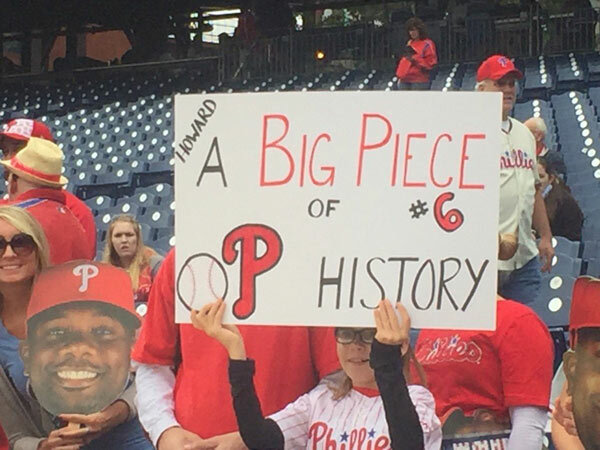 "Sad to see Ryan Howard go, but it's the end of an era," said Allan Raeden of Marlton, New Jersey. He made newlyweds day even sweeter in 2009, when he took the time to pose for pictures. 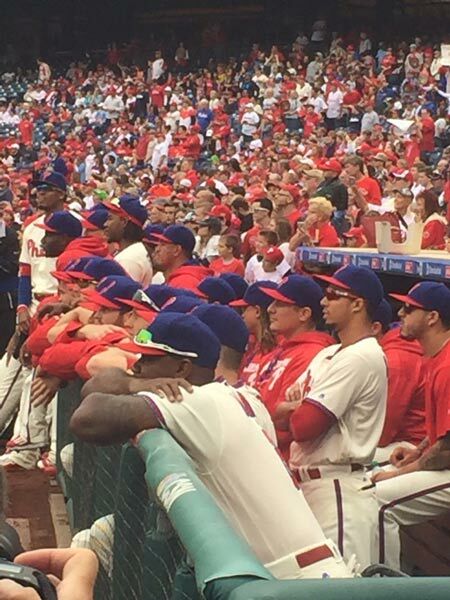 Goodbyes can certainly be hard and Phillies fans want to make sure Ryan Howard knows what his contributions on the field and off have meant to the team and the city. "He really kind of changed the game, and he definitely changed the team," said Liam Livewell of West Deptford, New Jersey. And for that, and so much more, he has our thanks.